Oakland, CA—June 17, 2015—Navis, a part of Cargotec Corporation, and provider of operational technologies that unlock greater performance and efficiency for the world’s leading terminal operators, today announced that ACT Burgas, the container department of BMF Port Burgas EAD, has successfully gone live on the Navis N4 terminal operating system (TOS). ACT Burgas operates in one of only two major Bulgarian ports in the Black Sea, and serves as an important East-West transport corridor for trade into the rest of the country. Its decision to modernize port operations and implement N4 comes alongside significant investment in new port infrastructure, equipment (including mobile harbour cranes, reachstackers and terminal tractors) and a reorganized internal operating structure. Facing expected container growth of up to 10 percent over the next five years, the terminal recognized that its locally developed TOS would not be able to manage operations effectively over time. In addition, ACT Burgas sought to reduce or eliminate paper-based documentation exchange with its customers and convert to digital processes wherever possible. “With the implementation of N4, our terminal achieved a major milestone on our way to becoming a twenty-first century container terminal, operating to worldwide industry standards. Together with the investments we have made in the yard and handling equipment in recent months, this constitutes a significant step forward, but not the end, of our modernization plan. The new operating platform provided by Navis opens a range of new opportunities for all port stakeholders and will help us to become the main gateway terminal for Bulgaria, and perhaps, a transshipment terminal for the Black Sea region,” said Capt. Jan Nowak, Director of ACT Burgas. N4 provides ACT Burgas with a proven platform for the management of its container operations, as well as supports the implementation of standard processes and EDI at the terminal. The Navis TOS will also be instrumental for Burgas to achieve its desired levels of efficiency and operational productivity. With N4, PRESS RELEASE Navis, LLC 55 Harrison Street, Suite 600, Oakland, CA 94607 USA Tel: +1.510.267.5000 Fax: +1.510.267.5100 www.navis.com ACT Burgas hopes to increase its productivity from 11 to 18 moves per hour per crane, and from 22 to 36 moves per hour per vessel, respectively. 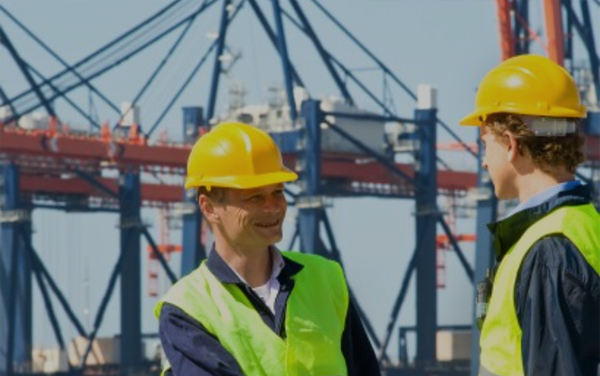 “Today, there is significant pressure on terminals to optimize their operations, by servicing larger ships faster than ever before, and at the same time meet demanding customer expectations. Forward-looking terminals like ACT Burgas recognize that part of that solution requires adopting industry-leading technologies like N4 to help deliver new efficiencies, visibility and cost-savings at the terminal and among global trading partners,” said Guenter Schmidmeir, General Manager of the EMEA region for Navis.